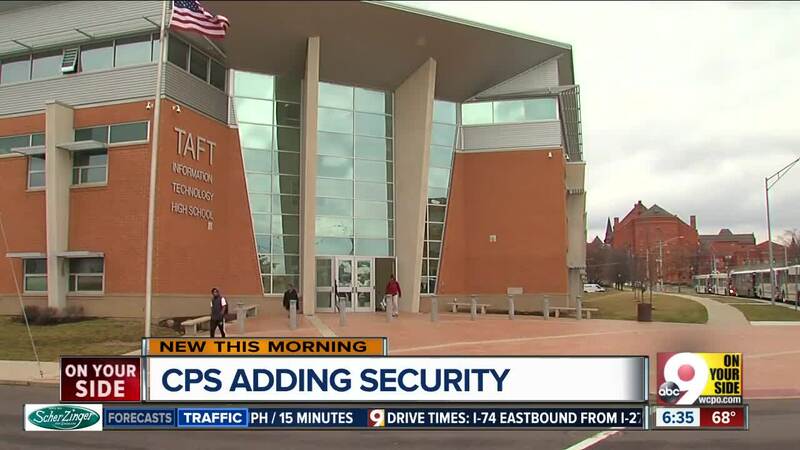 CINCINNATI -- Cincinnati Public Schools is adding metal detectors in some of its buildings as a way to increase security, but they've gotten a mixed reaction from parents and students in the community. "You walk into school with your kid on that first day," CPS Superintendent Laura Mitchell said. "You see those metal detectors and it's an optic no one likes to see. I respect that very, very much." Mitchell said security is a main focus for the district going into the school year. District officials had meetings with a number of security experts and performed an audit to determine what's needed to keep their kids safe. For example, they fitted all high schools in the district with metal detectors, which will help identify and deter anyone from bringing a weapon into their buildings. "We can't talk about academic achievement if we can't ensure that our students are safe," Mitchell said. CPS board member Mike Moroski says he understands the concerns. When metal detectors were added to Gamble Montessori last year, some student reaction was negative. "They weren't comfortable with it," Moroski said. "They said it made them feel like we assumed they were bad." He said the concerns are legitimate, but he supports the move. "We have to do what we have to do for the kids and I believe we're doing the right thing and I'm proud of the job we do," Moroski said. He said some students at Walnut Hills High School asked for (and received) metal detectors in their school to make them feel safer. He encouraged parents and students to bring their questions or concerns to the school board.